Some small business owners don’t think about small business life insurance. If you own your own business, it’s something you’ve got to take care of. Thinking ahead can preserve your legacy and ensure your business lives on. Life insurance will help ensure your family is taken care of after you’re gone. That’s a no-brainer. But, it can also safeguard your business if something unfortunate should happen to you or a business partner, or even a special employee that your business couldn’t do without. If you own your own company, you won’t get life insurance through your employer unless you actually pursue it yourself. Life insurance can help ensure your business goes on even after you die. No serious small business owner wants his business to fall apart after he dies. There is nothing more troubling to someone who cares about his business legacy. As a small business owner, you’ve worked very hard to build your business and establish something great. However, there are serious planning issues you need to take care of to ensure that your success continues. What is going to happen to your business after you die? Have you ever thought about it? Some business owners don’t give it any thought, and their family and loved ones suffer because of it. If you’re a small business owner without small business life insurance, and you don’t have a family, then your clients, colleagues, and legacy could still suffer. With small business life insurance, you can ensure an orderly, harmonious, and economical transition. How Does Life Insurance Preserve A Business? There are a couple of crucial ways that a life insurance policy can be set up to safeguard your company in the event of a death or serious disability of a business partner or important employee. One way is a buy-sell agreement. Basically, if a business partner dies, the other business partners will have enough money to purchase the part of the company held by the deceased person – at a price that has been agreed upon previously. The money goes straight to that individual’s family, or whichever persons inherited the shares of the business. You can also buffer the business against the death of a key employee. A person like this is sometimes called a “key employee”. A key employee is usually defined as an employee who has an ownership stake in the business and/or takes part in the decision making at the business. This is called “key person insurance” or “key employee insurance”. The money is paid to the company and gives the owners some financial relief in the event of a death or disability. This is no joke. If you’re a business owner, you know how important a key employee is. A business can stand or fall on a single employee. If you’re a small business, you know that one or two people can make a world of difference. Sometimes, a single employee is a company’s most valuable asset. Key person insurance could be the difference between your business operating as usual and shutting down completely. Who Should Be Covered Under The Business Life Insurance Policy And For How Much? What does the key employee bring to the company – creativity, salesmanship, budgeting – and how do you quantify that worth to the business? How much money would be lost before you find someone comparable to the key employee? How much money will it cost your company to find, recruit, and train a substitute? Will customers lose confidence in your company if you don’t have that awesome employee for a while? You might consider getting a trained professional to help you with answering these questions. He or she can help you figure out the financial impact on the company of these and other things, and put into action effective life and disability insurance policies. No one likes to think about the worst. But, coming up with a plan for your company is always a smart decision. 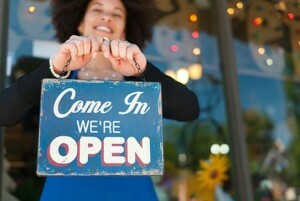 Small business insurance is important because your family might depend on the income from your business to survive. Moreover, you may have taken out big loans with your family’s assets to grow your business. You might have even put up the house as collateral for a particularly big loan. What if your family members are not able to take over the business after you die? What if they don’t know how to go about selling it easily? You might inadvertently put them in a position to go without your business’s income or even lose the home they’re living in, if it’s collateral for a business loan. So, you’re not worried, because you think your family can sell your business easily? Think about it this way. If your family is forced to sell the business too fast, they might have to sell at a discount or when the market is too low for a good sale. If they could wait until market conditions were more favorable, then they could sell the business when it was more attractive to the market. In some other cases, the business may be worth a lot less without the proprietor running it. Think about your worth to the business before you just think your family will be all right because you’ve got a profitable business at the moment. Think about the particulars or your family members actually trying to run or sell the business. How would that work out? If you have business partners, they might make it difficult for your family to get involved. Or, your partners might not have the ability to buy back your shares if you die unexpectedly. In that case, your family might have to run the business during a sad time or be forced to sell off the business completely. A small business life insurance policy may be either term insurance or whole life insurance. It could even be a universal or variable insurance policy. What type of insurance you get is completely up to the business taking out the policy. Most of the time, small business life insurance will be a term life policy. Term is not usually very expensive, you can easily compare quotes to get the cheapest rate, and small business life insurance does not usually need to be permanent. You shouldn’t ever go without business life insurance if you have a business and a family. It doesn’t matter how profitable or bad your business is, or whether you think your family can run it or not. Small business life insurance can cover any eventuality, and a lot can change in the market after you’re gone.